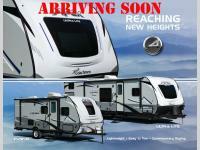 Step inside this Apex Nano and see just how convenient your next camping trip will be. Model 191RBS is the perfect travel trailer for two, or a small family to enjoy camping at a state park or anywhere they choose. 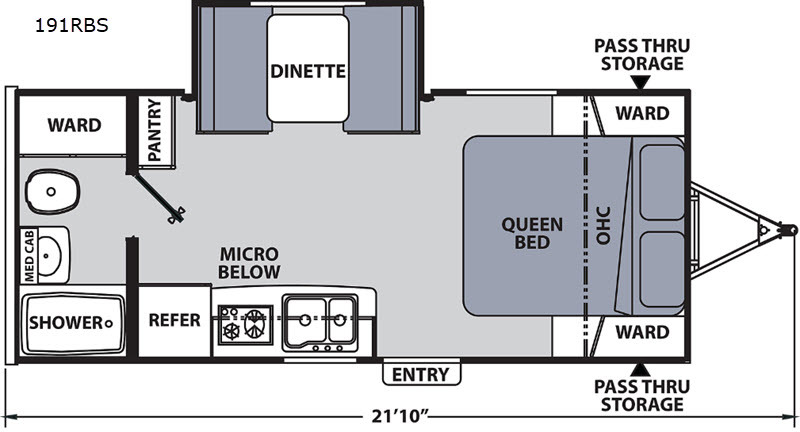 The single slide dinette provides a place to relax, offers extra floor space for everyone, and the slide can be used as extra sleeping space. 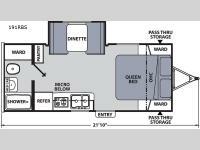 The rear full bath allows you to skip the public facilities and is very convenient at night. 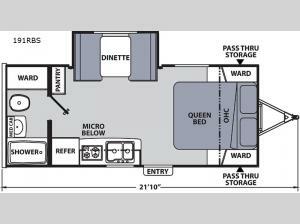 A comfortable queen bed can be found up front, and there is plenty of storage throughout the interior and exterior in the front pass-through compartment that is accessible from either side. Load up your gear and head out!